The Cremins lab investigates the epigenetic mechanisms regulating development and function of the mammalian central nervous system. 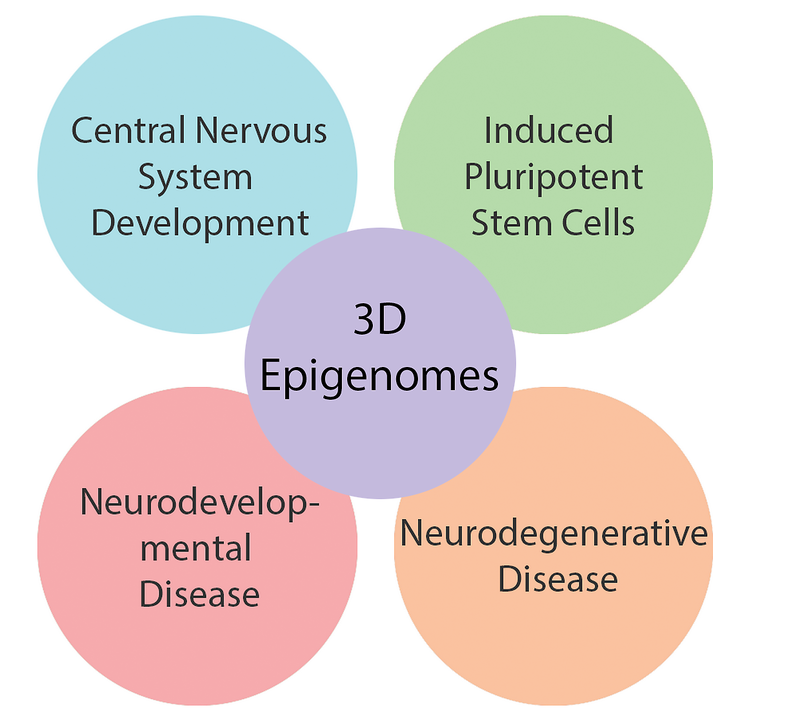 We map and analyze neuronal epigenomes in three-dimensions using quantitative, genome-wide technologies. We also perturb epigenomes by employing state-of-the art genetic engineering strategies (e.g. CRISPR/Cas9, optoepigenetics). To test our hypotheses, we primarily use embryonic and induced pluripotent stem cell models of neuronal differentiation and disease. Our long-term goal is to discover how genome architecture controls genome function, applying this to study fundamental mechanisms controlling neuronal phenotype and, by extension, the onset and progression of neurodegenerative and neurodevelopmental disease states. Our work is supported by the New York Stem Cell Foundation, the Alfred P. Sloan Foundation, the National Science Foundation, an NIH New Innovator Award through the National Institute of Mental Health and the NIH 4D Nucleome Common Fund Initiative.